2016 - Dan Sutherland and his 8.61 pound World Record Tomato! BigPumpkins.com congratulates Dan Sutherland on his 8.61 pound giant tomato. 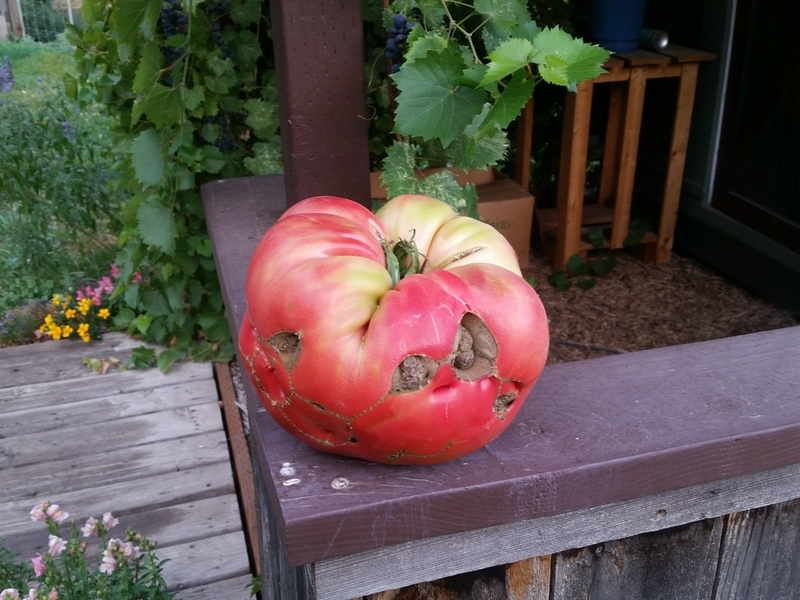 Dan grew his record tomato on the 5.85 Boudyo seed. If you were lucky enough to see this giant tomato and take a digital picture please upload to the Photo Gallery (not your personal diary) to have your photo included on this page!